In addition to taking care of the family, Mundall Trucking tries to help out the community whenever it can. They've donated money and hauled materials for the nonprofit, Up By Their Bootstraps, hauled materials for sports fields for Wickenburg High School for free, and helped with home building for veterans and Arizona Construction Career Days. And since they see their employees as an extension of their family, taking care of them matters too. 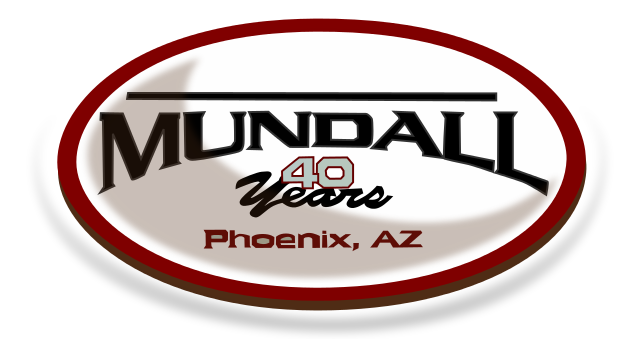 Mundall provides extensive on-the-job training, focusing on safety, efficiency, and timeliness. Now John Mundall paves the way for a new generation of haulers, providing sophisticated online training for his drivers at The Mundall Institute for Drivers. This online drivers' school is geared specifically for haulers who provide Mundall services in The Mundall Way. John has plans to open up The Mundall Institute to drivers from other companies as well, believing that making the competition's drivers better will only make the industry better as a whole.